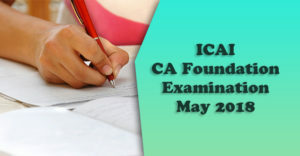 Hello Friends, ICAI has declared the date for filling of Examination application form for CA Foundation May 2019 Examination by releasing the notification on its official website. 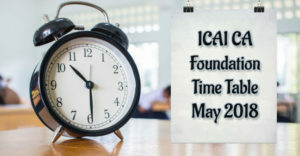 As per the said notification, ICAI will start accepting the Application form for CA Foundation May 2019 from 20th February 2019 and will last on 12th March 2019. 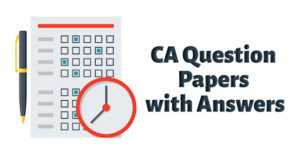 Looking for CA final application form ? Follow the link! 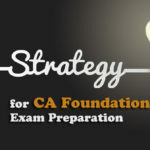 Are you getting confused about how to fill the CA Foundation exam form for May 2019? 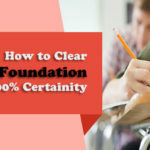 Then, don’t worry… We are providing you the complete guide for filling the form, You Just Concentrate on Your Preparation Strategy. Once step 2 is completed, the Registration procedure is completed. Now you can apply for the exams. You can log in to your account and there you can fill your application form. 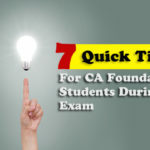 You are expected to check your profile before filing the CA Foundation application form online. In case your photograph and signature are not attached then you are required to attach your photograph and signature and the candidates who wish to change their photograph or signature can do so, in such a case you are required to print the PDF of the form. ( Affix his/her photograph, duly sign the form and get them attested. 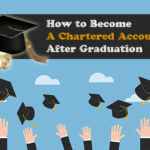 Attestation can be done only by a Practicing Chartered Accountant or Head of an Educational Institution or a Gazetted Officer) and submit it to the Exam Deptt. in the normal course. But the candidates whose photograph and signature are already appearing on their PDF are not required to send the hard copy/print out of such PDF at the Exam Deptt. In case the photograph is not appearing on the application form– You need to affix two latest photographs ( passport size- 3.5cm-4.5cm) – One is required to be attested by any practicing chartered accountant, gazetted officer or head of educational institution). 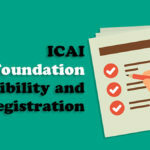 In case of the signature are not appearing on the application form– You are required to duly signed the form and also countersigned by your parent or guardian, and also require to get it attested by the persons mentioned in above para. 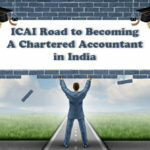 After completion of the above formalities, you are required to send the printout of such form in an envelope (without folding) by speed post to the Joint Secretary Exam (Examination Department), the Institute of Chartered Accountants of India, ‘ICAI Bhawan, Indraprastha Marg, New Delhi – 110002. 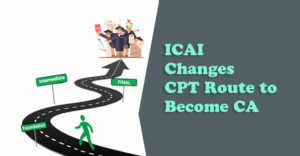 In case you delayed in dispatching the printout of online application form to the examination deptt., and resultant it does not reach the Institute Office at New Delhi upto the last date, you will not be allowed to sit in the examination hall. In the given case you will be allowed only if you show the printout showing the Barcode number and Payment Transaction Details. The fees for examination is non-refundable and non-adjustable. 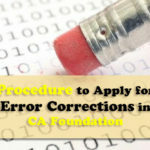 Incomplete CA Foundation application form will be subject to rejection. Retain a copy of such Application form as proof that you have an examination form. So, WISH YOU GOOD LUCK FRIENDS. 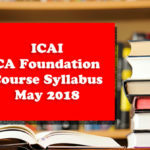 Download CA Foundation Syllabus and past attempt papers from the given link and boost your preparation today!